“It’s Mega,” as Chris Harris puts its several times in one of the best On Cars episodes we have seen. 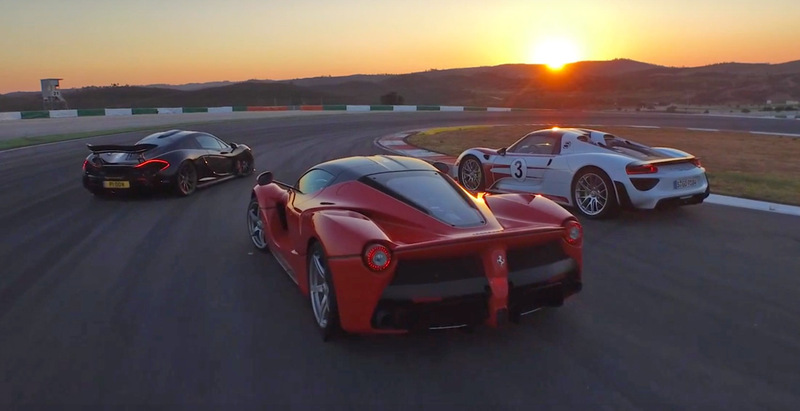 With his proper representation and descriptions of the Holy Trinity of hypercars, Chris Harris gets a once-in-a-lifetime chance to place the Porsche 918, Ferrari LaFerrari, and McLaren P1 on a track together. This rare occurrence brings us to Portimao circuit in Portugal for a wonderfully produced video in several parts, starting with a track time for each vehicle with controlled “variables,” a descriptive lesson on how each of the vehicles feel, and some serious hoonary with guests Marino Franchitti and Tiff Needell. This is MEGA! Oh, we already said that. You have to set aside nearly an hour to check this one out. Even if you can’t afford either of these modern marvels on four wheels, it’s worth your time – and some. Enjoy!